Old tools...old timers. The smell of iron and coal, the sound of the hammer ringing off the anvil. The feel of pushing around steel as though it was just so much clay. Looking at a piece of scrap metal through my Mind's Eye, and then shaping it into form with muscle and steel. 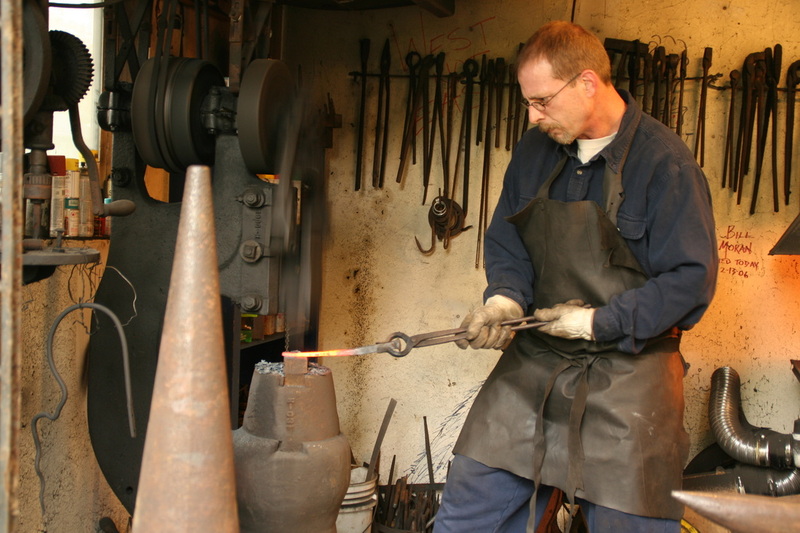 There has always been and will always be a treasure trove of excitement to the senses for me in the Blacksmith Shop. I've often wondered what it might've been like to have lived in the days of the Mountain Men, preparing in my shop a load of goods bound for the Green River and the summer gathering of the Mountain Men. Or perhaps to have lived in the days of the knights, forging swords and knives for the king's army. As it is, I am very much content working on whatever suits my mood or perhaps a piece of art for my wife, daughter or friend. 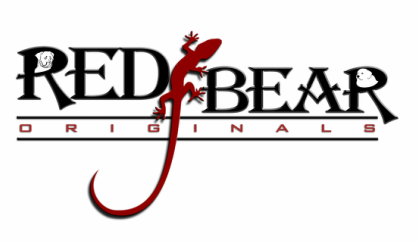 When you buy an item from Red Bear Originals you can rest assured that it will be the only one like it of its kind. Hope you enjoy yourself while here, let me know if there's anything I can do for you.